Cass Art is open for art in the glorious city of Bristol! And if you can’t tell from our countdown on social meda, we’re over the moon to have opened in such a cultural city. The new Bristol shop is on 43-45 Park Street, book-ended by the stunning Bristol Cathedral at the bottom, and the Bristol Museum and Art gallery at the top, and shortlisted for the Great British High Street of the Year in 2014. Filled with funky clothing boutiques, music stores and great places to eat, it's also overseen by Cabot Tower, a great attraction with brilliant views. Bristol has always been acknowledged as the creative hub outside of London, a city brimming with galleries, studios and inspiration at every turn. 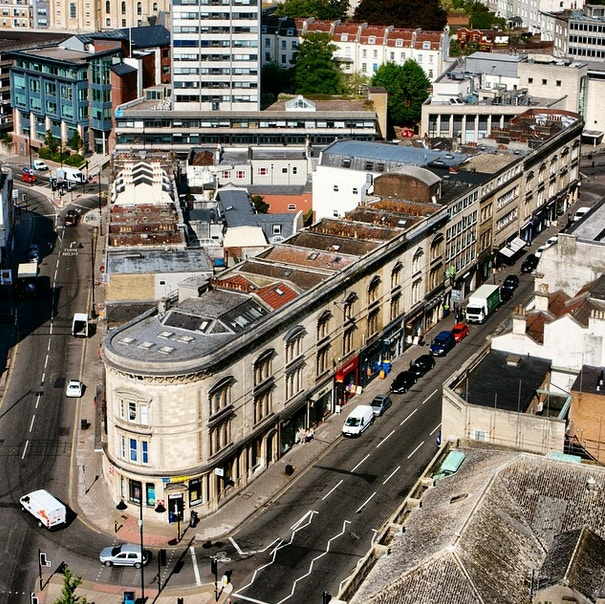 Among a vast repertoire of galleries - Arnolfini, Spike Island, the RWA to name but a few – Bristol is also home to emerging musicians, playwrights, designers and innovators of all sorts. The infamous street artist Banksy, Nick Park (the creator of Wallace & Gromit), Massive Attack and Portishead are just some of the talented pioneers that call Bristol home. In addition, the new culture-orientated magazines, B24/7 and Lagom, have recently sprung out of the city, covering music, food & drink, lifestyle and more - we urge you to pick up your own copies. So in a nut shell, where better for Cass Art to arrive to lend support to artists and celebrate creativity in all its forms? A floating centre for contemporary art and design (not the same Spike Island of Stone Roses fame) is the perfect spot to soak up exhibitions, spy in on artist studios, take in a talk or peruse a performance or two. Spike Island really is a must-see when visiting Bristol. Café, bar and music venue The Canteen covers all manner of tasty treats and creative clientele. Stop by for a quick bite and soak up the sustainable, ethical and delicious vibes! 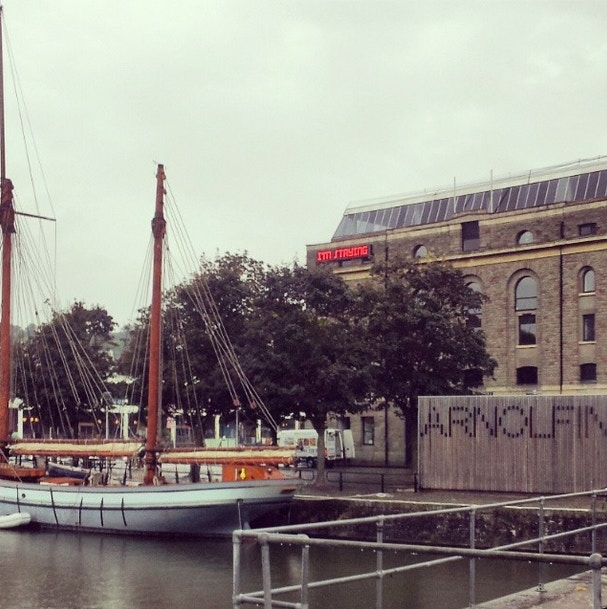 Established in 1975 on the harbour side, the Arnolfini gallery inspires its visitors with an array of workshops, exhibitions, films and programmes for artists of all ages. Young Arnolfini collaborations provide children and teens with the opportunity to develop and celebrate their creative passions – so go along and see the emerging artists of the future! With its jam-packed schedule, round off your day in the city with an even bigger smile on your face at the comedy club Leftbank. Sit down for their range of stand up, slam poetry, performance art and musical acts. Start on Park Street and find your way to Frogmore Street, where one of Bankys's artworks is on the side of the health clinic. You can actually see it best from the small bridge at the bottom of Park Street that crosses over to Frogmore Street. Then head up the top of Park Street, crossing over to the right hand side to the entrance of the Bristol Museum and Art Gallery. 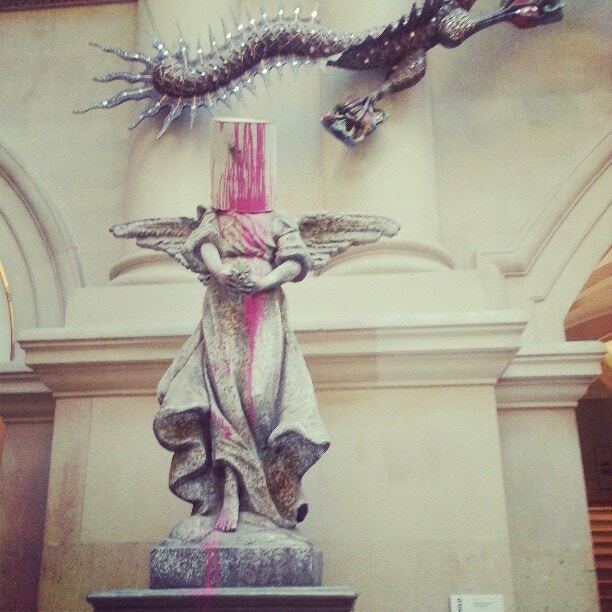 Here you'll spot Banksy's Paint-Pot Angel - but keep your eyes peeled for many more!